Juicer pulp recipes are essential if you’re an avid juicer; you probably have realized that you throw away a LOT of pulp! But I have good news, you can use it in so many ways. There are specific juicer pulp recipes and then just some general ideas for your everyday cooking. It’s an easy way to add bulk, moisture and nutritional fiber! 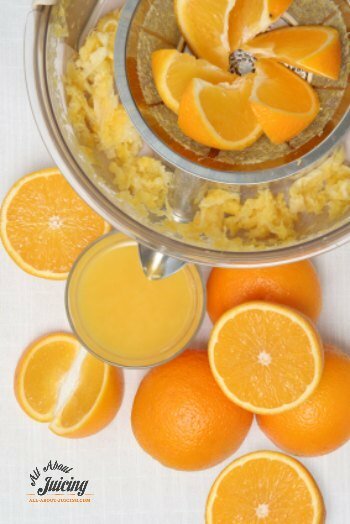 It’s safe to save the juice pulp for at least 12 hours in the fridge, if you know you want to use it the next day. You should use it as soon as possible. If you can't use it right away, just toss it in a baggie and freeze it until ready for use. 1. You could stir any veggie pulp into a dip, soup or sauce. 2. Use fruit pulp (especially berries) in frozen fruit pops. 4. If you’re a meat eater, add some pulp into meatballs, meatloaf or burgers to give it some moisture. You won’t even notice. Carrot and apple work well. 5. Toss it into any baked good recipe. How about throwing some carrot pulp into a pound cake recipe? Pancakes work well too(berries and apples are good for pancakes). It adds some moisture, flavor and a nice texture. 6. Sneak it into some layered recipes like lasagna. (from that leftover tomato veggie juice you made). Mix it right into the tomato sauce for "chunky" lasagna sauce. 7. Try putting it in savory muffins and biscuits. Add some celery, onion or tomato pulp in with your recipe to give it some flair! 8. Mix some honey or other binder in the pulp, roll in cookie shaped balls, and dehydrate for healthy “cookie” snacks! 9. Make your own animal treats, and throw some pulp in! 10. Mix some extra pulp in a smoothie! Generally, most recipes can be modified to tolerate some pulp. I have found that it doesnt change baked goods at all, except for a fiberous texture, just the same way any add-ins(like raisins or nuts). How do you use your juicer pulp? If you've got a recipe or idea that was sucessful, share it here! Questions, recipes and comments from others. Just fry up your veggie pulp with some eggs and cheese to make a delicious scramble or omelette!